Refrigeration for the grab and go market. Williams Refrigeration's range of products tailored specificlly for the fast growing, fast moving grab and go sector. With options for display refrigeration, front of house and back of house refrigeration. Refrigeration for the public sector. Williams Refrigeration has developed an outstanding reputation for supplying reliable, practical and energy-saving refrigeration for all areas of the public sector for over 30 years - including schools, colleges, universities, hospitals and prisons. Responding to the increasing popularity of takeaways and street food, Williams has developed a comprehensive range of products that can meet every application. Slimline refrigeration for small kitchens. 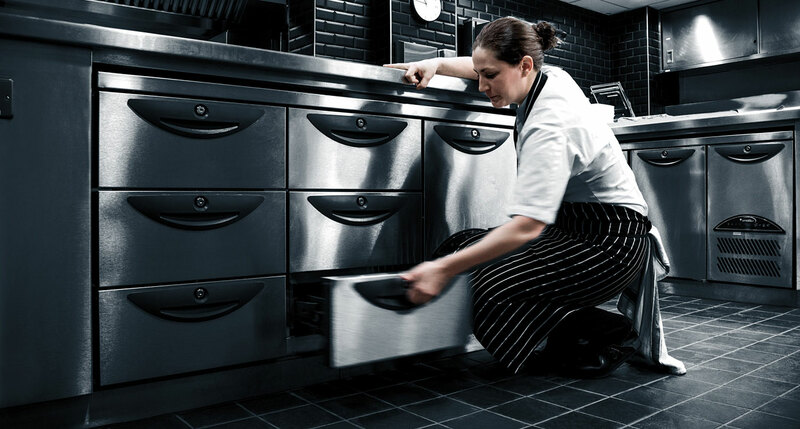 Responding to the demand for ever-decreasing kitchen space, Williams has developed a range of slim line products that, while compact in size, are big in performance. Pub and bar refrigeration: your one-stop shop. Williams has developed a wide range of models that includes bottle coolers, bottle wells, kitchen storage and prep models, salad units, low level cabinets, under broiler counters and wine towers. Williams has supplied refrigeration to many of the leading sports clubs worldwide, including football, cricket and rugby stadia. With over three decades of experience, Williams Refrigeration’s market leading products can provide a complete solution for every hotel.